The Sisley Pro is designed larger and deeper than the standard Sisley bar-prep copper sink. The Sisley Pro copper sink meets the needs of any home or professional chef. Featuring an extra deep 9 in. bowl makes meal and drink preparation easy. Designed to functional flawlessly the Sisley Pro copper sink is handmade from 16 gauge pure copper and is protected by a Lifetime Warranty. Sisley Pro Undermount Handmade Copper Sink 18.5 in. 0-Hole Bar Prep Sink in Antique Copper The Sisley Pro is designed larger and deeper than the standard Sisley bar-prep copper sink. The Sisley Pro copper sink meets the needs of any home or professional chef. Featuring an extra deep 9 in. bowl makes meal and drink preparation easy. Designed to functional flawlessly the Sisley Pro copper sink is handmade from 16 gauge pure copper and is protected by a Lifetime Warranty. Sisley Pro Undermount Handmade Copper Sink 18.5 in. 0-Hole Bar Prep Sink in Antique Copper is rated 4.3 out of 5 by 4. Rated 5 out of 5 by Ramaia from Looks like a well made sturdy sink and I am... Looks like a well made sturdy sink and I am very happy with this purchase. Rated 4 out of 5 by gitterdone from Beautiful but high maintenance Really handsome well-made sink. Didn't realize it stains very easily. If you leave dishes with food scraps in it for a while, acid from food will leave bleached areas on the copper. However, in a few weeks they darken to the same color and aren't noticeable Steel wool and abrasive cleaners will scratch it. Requires waxing every month or so. Drain hole wasn't level but wasn't noticeable when installed with disposer. Drains just fine. Also bought the Renoir version which did have a level drain. Even with the higher maintenance, it's worth it because it looks so great. Rated 5 out of 5 by Kirstie from Beautiful sink! This sink was EXACTLY what I was looking for. It's absolutely stunning!! I was shocked at how light it was when it arrived. 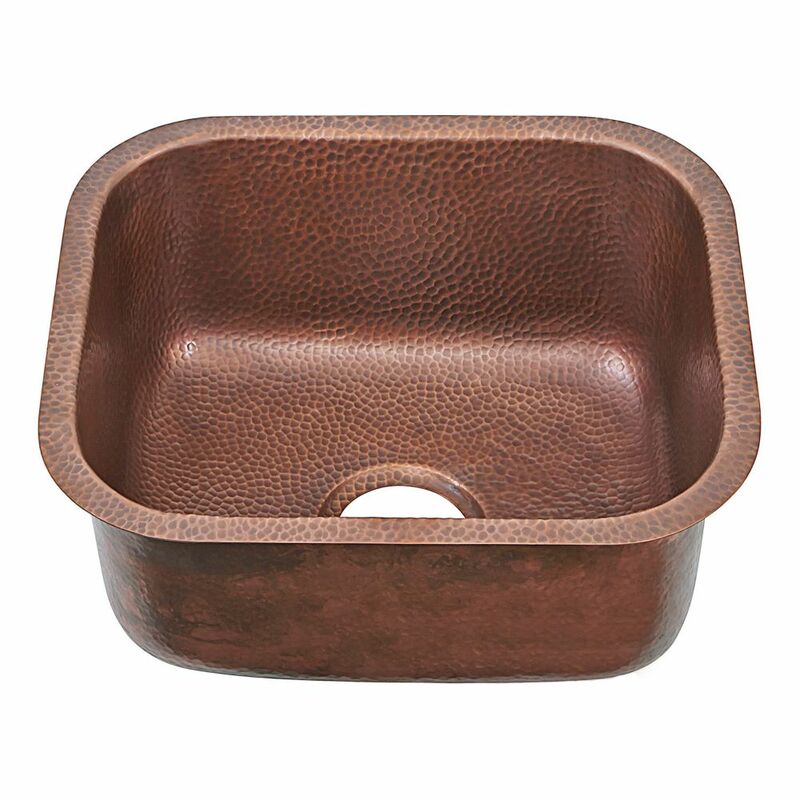 We ordered the copper farmhouse sink as well and it matches perfectly. The color is even more beautiful in person. I highly recommend this sink!